A unique guide to the subtle invisible energy transactions that affect your every thought, feeling and action! 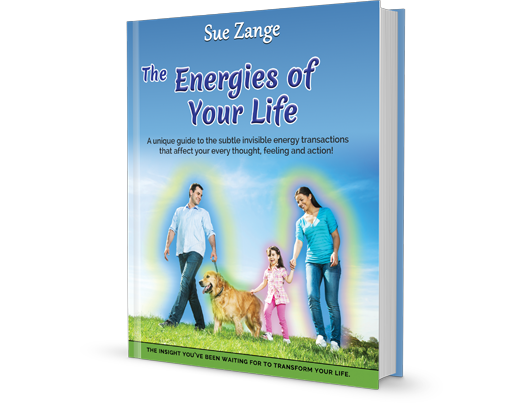 Written by Sue Zange, a pioneer in the development and understanding of subtle energies, this book is based on 15 years of first-hand experience of helping others improve their lives and well-being through subtle energy awareness and transformation. Get the insight you need to transform your life! Available to Purchase in Hardback and Softcover. A revelation of knowledge that will help you manage your life on a daily basis. It offers insight into the world of invisible subtle energies that influence every choice and action! Read this book if you want to know the truth about your energy field (the aura), and come to understand the energy forms and patterns that flow into your life. Learn practical skills to manage your energy and empower your life actions. "We know that all things are energy. So... where is it, how does it flow, and what is its relevance?" 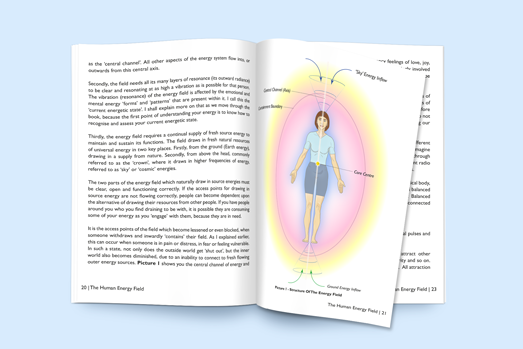 This field of energy flows throughout the internal physical body and generally radiates outward from the body approximately 60-80 centimetres. “Apply some simple skills to transform the essence and vibration of your energy… your presence. Then you will be living your light.” An empowered life is that of a creator, an originator of ideas, someone who is aware of the feelings that drive those ideas. "We are designed to be in relationship. We cannot thrive without our primal connection to each other." In relationship with other people we naturally connect on multiple energetic levels, without any conscious awareness. Sue Zange is a pioneer within the development of awareness of subtle energies. 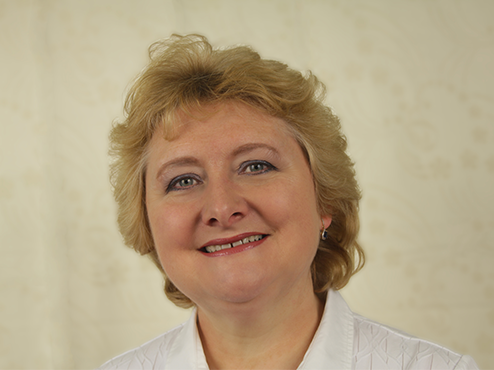 With the ability to sense, interpret and transform subtle energies, she has worked within this specialist field for over 15 years. 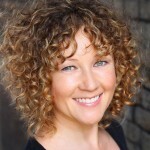 A natural born ‘sensitive’, Sue is a highly skilled and experienced healer. She has the rare ability of ‘energy vision’ which allows her to see the movement and presence of these invisible subtle energies. © Sue Zange 2018. All rights reserved.